No one doubts that social media is an important tool, and there’s certainly much we can learn from the private sector. However, in this column, author Captain Crispin J. Burke suggests that goverment agencies are vastly different enterprises than corporations, so they will undoubtedly have seperate social media strategies. It’s a pleasure for me to be here to spend a little bit of time with you and talk a bit about the Navy’s view toward communication. [Acknowledged introduction by Mr. Bob Grupp, President, Strategic Communications Leadership Initiative]. Georgetown professor Rosa Brooks weighs in on Assistant Secretary of. 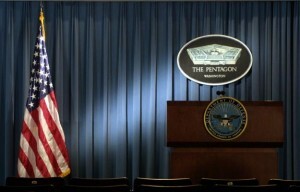 of Defense for Public Affairs George Little’s recent memo re-defining Strategic Communications. Brooks refers to SC as the thoughtful integration of issues of stakeholder perception and response into policymaking, planning, and operations at every level. Public affairs, IO, and traditional public diplomacy are tools that can support and enhance strategic communication, but they aren’t the same as strategic communication, she says. Strategic communication, in this view, is less about what we have to say than it is about considering how others may interpret our words and actions. It has been said that the term “strategic communications” is used with such ubiquity that it becomes almost meaningless. Smart leaders today engage with employees in ordinary person-to-person conversation more than communicating a series of commands from on high. Letitia Long: Thank you very much, Bob (Grupp, President and CEO of the Institute for Public Relations) for that kind introduction. Some may wonder; intelligence, strategic communication, radical transparency, secrets. What do they have in common? I was delighted to receive this invitation to come speak with you today, because we don’t often get the opportunity to speak in venues like this since much of what we do is classified and much of what we do is not for the general public’s consumption.